A dapper suspender set from Lito, will look adorable on your little one. 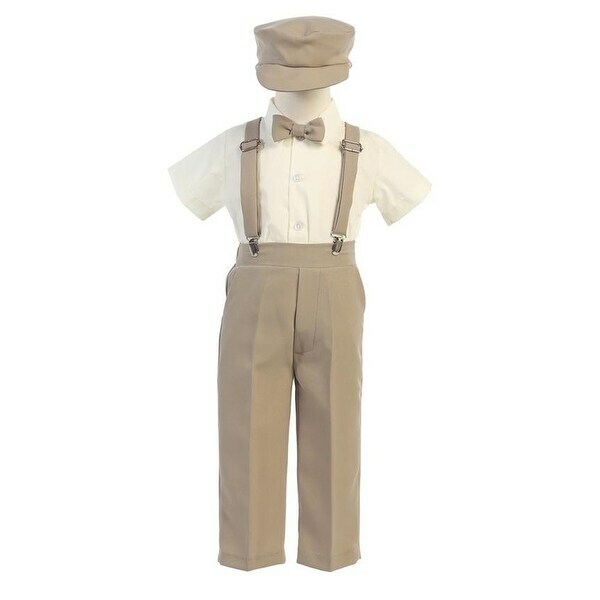 This 4 piece set includes a pair of khaki pants with suspenders, a short sleeved white shirt, a bowtie and a hat to match with the pants. This handsome 4 piece suspender set can be worn at weddings, family gatherings, Sunday church or other special events. Made in USA.